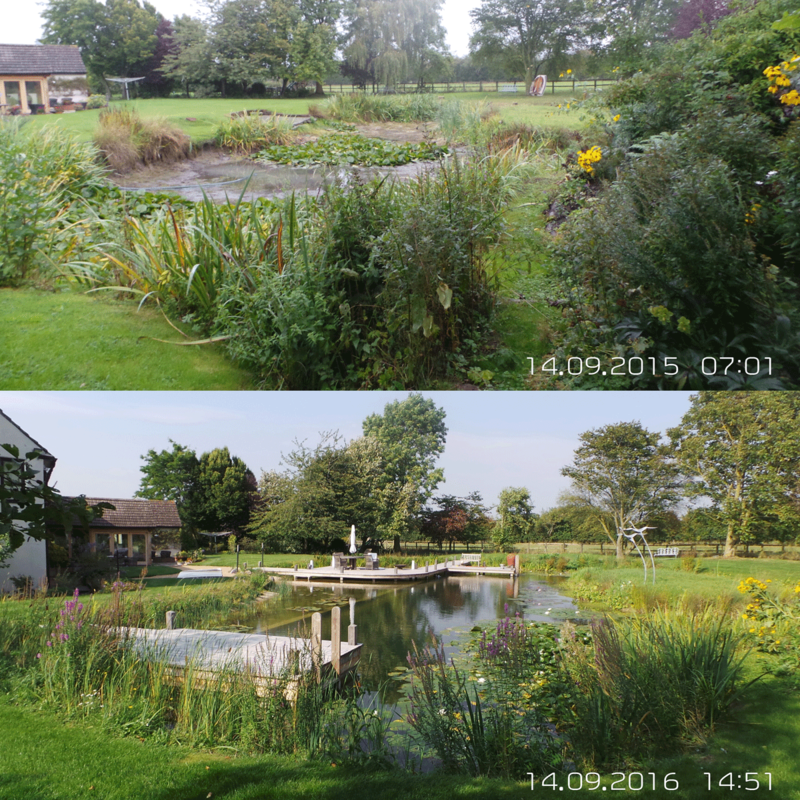 Originally a clay dew pond 350sqm, this was excavated and converted using the existing clay on site to seal and raise the level to 650sqm pond for swimming in. “Well, could you see the difference? Yes, the boat has moved from resting on the tree to laying on the lawn by the house.